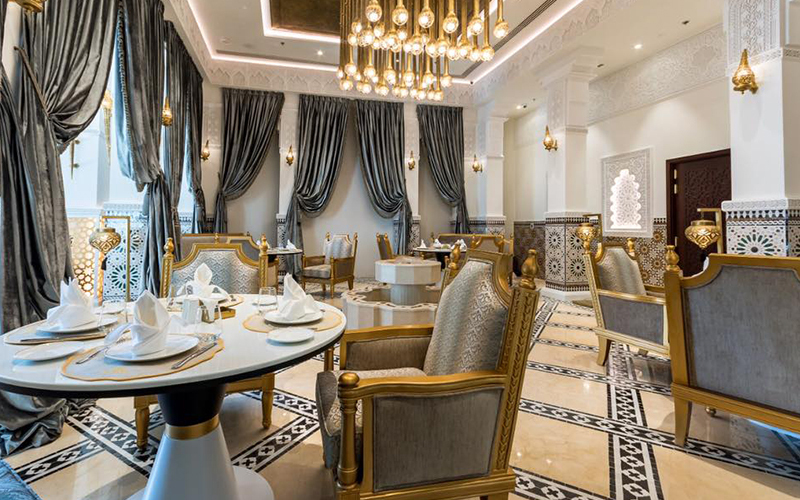 Bab Al Mansour, Dubai’s new eatery specialising in Moroccan cuisine, has officially opened on Sheikh Mohammed bin Rashid Boulevard in Downtown Dubai. With a focus on organically grown food imported from Moroccan farms, the restaurant serves authentic recipes in an exquisitely designed location, featuring high ceilings, vibrant lighting and white and gold embellishments that create an unmatched royal dining experience. The restaurant’s Moroccan-style cooking methods will tempt guests with classic dishes such as couscous, tagines, rfisa and tanjia, with the sumptuous variety of flavours and spices. Such traditional Moroccan delicacies as braised beef tongue, chicken pastille and beef brain marinated and cooked with tomato sauce will satisfy sophisticated palate of any food lovers. Details: For more information, please call 04 350 9440. Why not try making your own tagine, with this tasty one-pot chicken recipe?